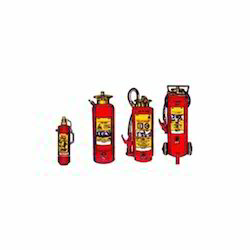 In order to meet the diverse requirement of the clients, we are engaged in providing our clients Fire Extinguisher. Our entire product range is easy to use and is operator friendly in nature. 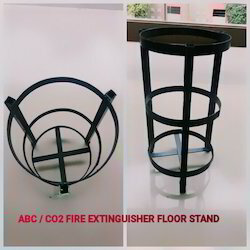 Offered products make the thin layer around the fire and prevent from burning. These products are tested on different stages at our vendors' end to make sure that we are delivering only defect-free range to the end user. Moreover, we offer them at most affordable rates with customized solutions. 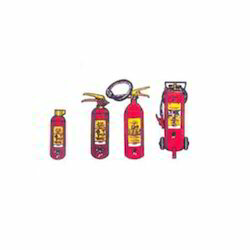 We are noted amongst the leading trader and supplier of ABC Dry Powder Fire Extinguisher. This product is manufactured by our vendors using superior quality raw material at par the international standards. Our team of quality controllers further tests this product on various parameters to ensure its flawlessness. Our offered range is available in different specifications to meet the varied needs of the clients. We have marked a distinct position in the market by providing a precisely engineered range of Dry Chemical Powder Fire Extinguisher. The offered product is manufactured by utilizing high grade raw material in compliance with international standards at our vendors end. In order to meet the varied needs of the client, this product is offered as per the application requirements of the clients. Our clients can avail this product at market price.